paul thinks we should have a specific thread on this to help people like me to set it up ! There is a bit to take on initially but then you won't look back. Then over the years as you get interested in trying this or that improvement you will not be held back by the cdi. Once the 3xv is set up on programmable you really get to reap an unbelievable motor. Both Dan and my dyno curves are mid range strong, just changing when my PVs start to open and for how long to fully open released 12hp from 6500 to 9500 where I had a flop in power. No matter how careful you are with the boys at IGNITECH they will carefully wire up your plugs wrong. You must use the manual and check each wire from the PIN number coming out their box to your units. If you will spell out which carbs and if you're using airjets and elec powerjets and tps or not I can get an idea of where you're heading with this. thanks paul ive got help with it . half way through next month. i am using windows 7 and it cannot find the com port using the auto search or manual going through them one at a time , do i need windows xp ? anyone any ideas i also could do with a map as a start point to try please if anyone has anything ? Hi Gary , have you down loaded the program from the ignitech site ? Somehow when I started I did something to the disc and could not run it either . I had to be connected to the bike before I could do anything , it would crash / freeze often but that may have been our laptop . For reference, the -00 ignition is good for mid to high 50s assuming a solid set-up with good pipes and a bit of porting and the 28mm carbs Gary. You should be able to make some very useful improvements on that, both at the very top end, and, especially, between 9 - 11k with a better suited ignition and PV curve though of course . I can't offer any pointers with the Ignitech though I'm afraid. 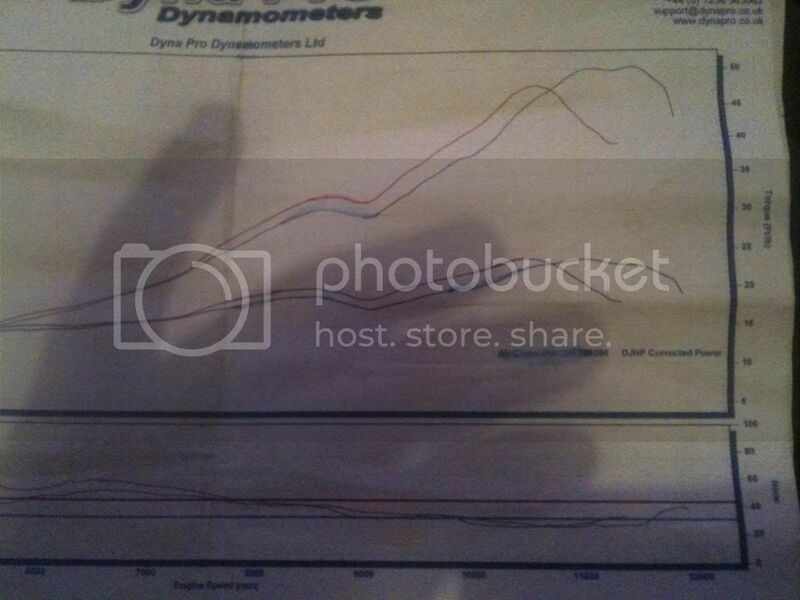 If you post up your dyno curves it might help? havent try'd it yet paul ,i'll post the dyno chart when i get time later ! Just relax a little , I have been frustrated with my bikes too in the past when I was chasing hp . As soon as you get everything working together you will forget about the difficulties and have a big smile . What is actualy wrong with the bike? I see your running pod filters which I don't imagine are helping your cause. With the Ignitech have you strobed a flywheel reference mark against a flat line advance curve? What advance curve were you using? 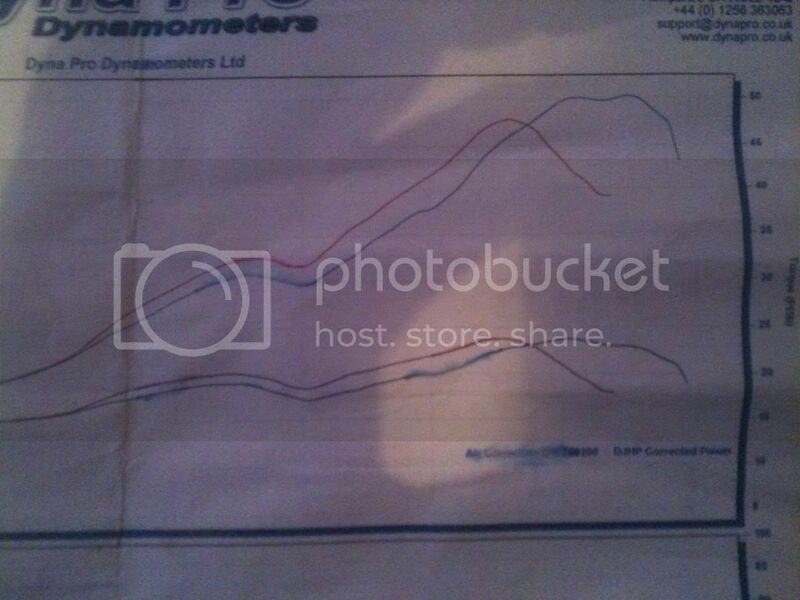 Post the dyno graph and it may give anyone a indication where to look. Regarding the connection to the Ignition Unit from your Laptop? Is that working yet or not? Have you got a working COM port on your laptop? Does your laptop have a built in COM port, or are you using an adapter of some kind - eg: USB to DB9 adapter? Please clarify your setup regarding the connection from your laptop to the Ignition unit? I can almost certainly help you sort out your computer problems, as long as you're clear regarding what's occurring and how you have things set up (I'm a IT technical consultant in my day job and have spent a long time supporting Windows operating systems). I haven't gotten to the point of starting to set up my Ignitech Ignition, but I have got all the stuff ready for it. For my own PC, I need a USB to DB9 COM Port adapter, which requires it own device driver. And I've got a mix of operating systems on my computer - including Windows 7, which is still my main OS. I have collected a couple of sample IGN files for the ignition unit, but my intention is to use those as a starting point and adjust according to other recommendations to get a base setting for the bike - but at the moment I'm in the process of trying to get my barrels ported. If you look up my earlier posts, you should find the IGN file I got from Ignitech, otherwise I can find the URL for you.